When Mr. P and I went Up North to visit family over the holidays, I was constantly impressed by the way every house had a place for guests’ coats. 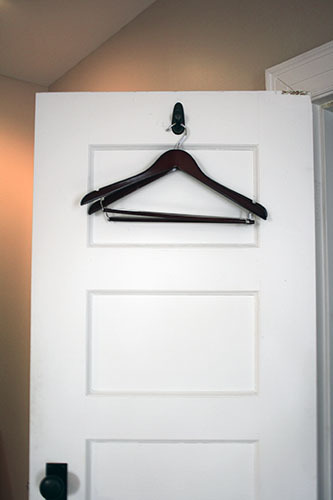 One of Mr. P’s relatives homes had a coat rack by the door, but the others actually had room in the coat closet for guests. 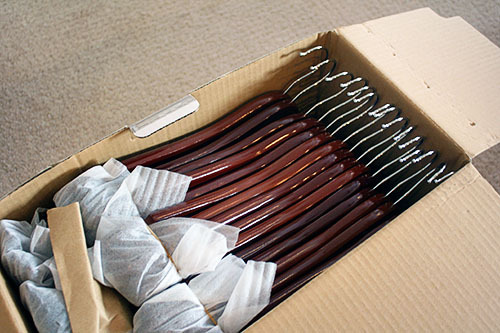 Not just extra hangers, but actual room for extra coats! And furthermore, the closets were neat enough that they had no qualms about letting guests see inside! It puts our coat closet to shame. 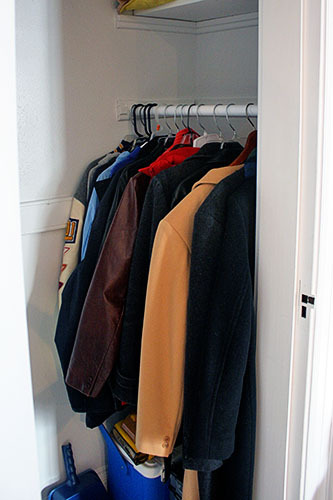 It may be hard to see from that photo, but it’s crammed full with coats and jackets on mismatched hangers and – worst of all – we don’t even wear some of them! I mean, that is my high school letter jacket back there, which I haven’t worn in over a decade. I don’t want to get rid of it, but when we’re living in a place where closet space is at a premium and attic space is plentiful, perhaps it’s time to box that up, eh? Beautiful fancy matching wooden hangers oh em gee! Mr. P, we can be those people with fancy matching hangers! So I spend a few minutes removing items I don’t wear on a regular basis. Things like my letter jacket got boxed up, a few hoodies got folded up in my clothes closet, and several things got tagged for donating. Which meant all these mismatched hangers could GO! I did remember to keep a few extra empty hangers in the closet for guests, of course (did you notice, in the photo up there?). And even if we have a lot of guests at once, we should be fine – I even remembered to hang a few on the door for overflow! 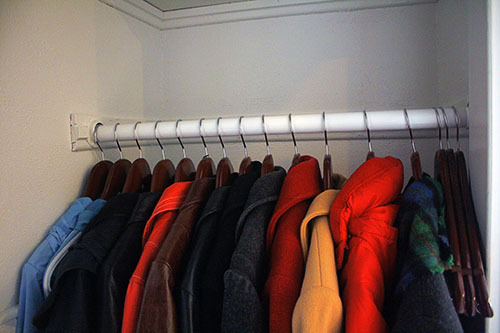 I’m glad that I tackled this project in the wintertime – every day when I grab my coat, it makes me so happy to have a neatly organized closet! You guys, I always wanted to be the sort of person with a closet full of fancy matching hangers and now I am one! Well, at least... for one closet. Those mismatched hangers in the photo above are totally being re-purposed in our other closets. 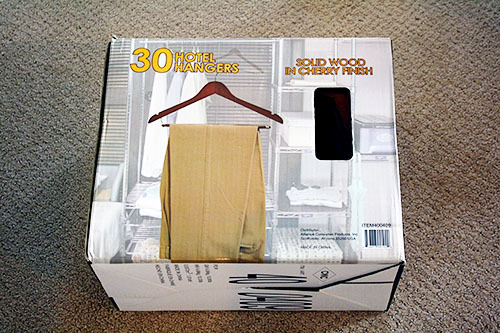 But we do have leftover fancy hangers from this box too, though... one closet at a time, eh? Who wants to come visit? Please, let me take your coat! Love the look of the closet! Remember when pooling items for donation: 1. list each item you are donating and the condition it is in (excellent, fair, poor). Why would anyone donate something in poor condition? I've no idea. 2. Take a picture of the item(s) you are donating. 3. Why all the steps? TAX DEDUCTION Baby! You'd be AMAZED at what you can claim for your taxes. While I don't donate underwear, you are legally allowed to take something goofy like $5/pair of men's underwear off your taxes! 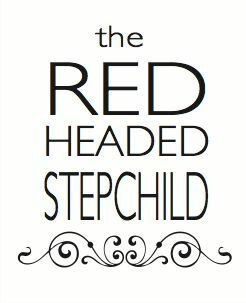 It's amazing how incredibly fast the deductions add up! Happy Donating! 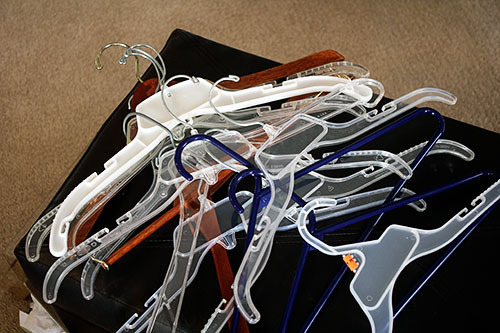 OH, by the way, yes, you can donate old plastic/wire hangers too!